Explore Sydney's surroundings by going to Katoomba (Wentworth Falls, Blue Mountains, & more). 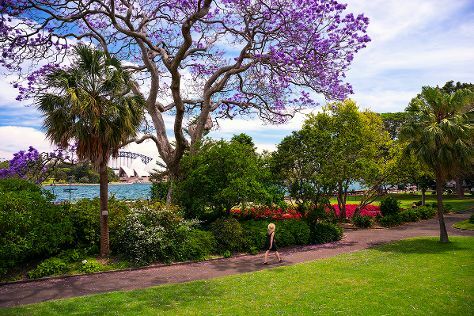 The adventure continues: admire the natural beauty at Royal Botanic Garden Sydney, catch a live performance at Sydney Opera House, trek along The Opera House to the Botanic Gardens Walk, and observe the fascinating underwater world at Sea Life Sydney Aquarium. To find photos, ratings, other places to visit, and other tourist information, read our Sydney online trip itinerary planner . If you are flying in from Austria, the closest major airport is Sydney Kingsford Smith International Airport. In October, plan for daily highs up to 28°C, and evening lows to 17°C. Cap off your sightseeing on the 19th (Sat) early enough to travel back home.